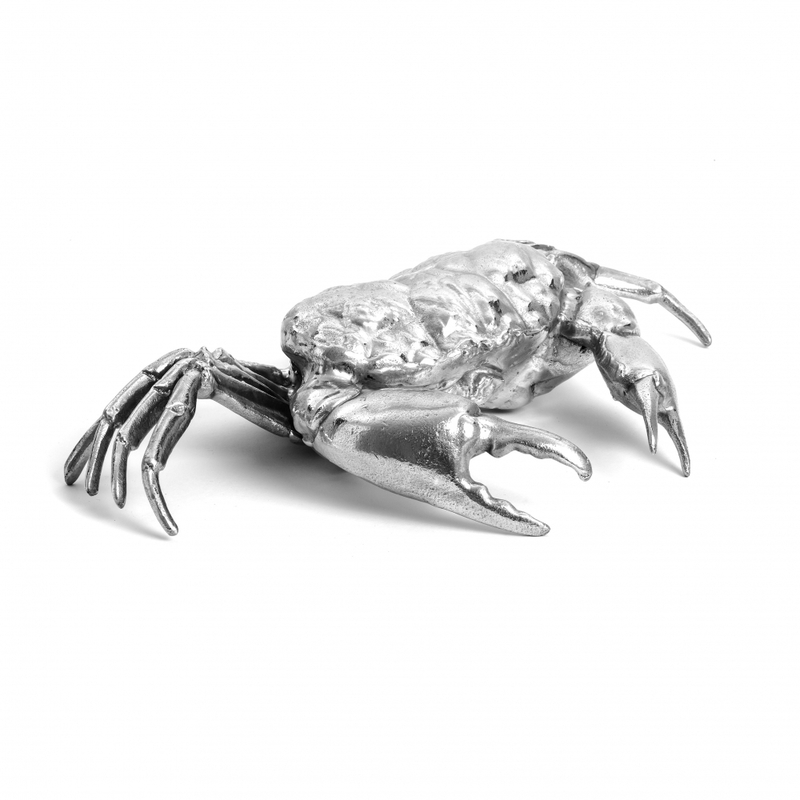 Curious and quirky, this Silver Aluminium 'Holy Crab' Ornament by Diesel Living with Seletti is sure to be a talking point. It will make an unusual decorative addition to many homes and other interiors, such as restaurants and hotels. The impressive size of this ornamental crab will have you and your guests saying "Holy Crab!" every time you see him. The detailed freestanding replica with luxurious silver finish is part of the 'Wunderkammer' collection. Presented in a Seletti gift box, this crab sculpture would be an original gift, especially for fans of coastal design, don't let it scuttle away.